Many people are familiar with the frustration of submental fullness, more commonly known as a double chin. This stubborn fat is common among all kinds of people, even if you are fit and slim, male or emale. People looking for a solution now have a non-surgical treatment called BELKYRA. 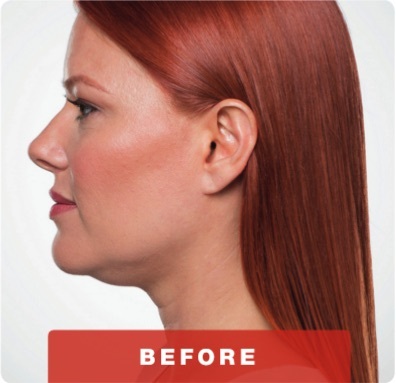 BELKYRA is an appealing option for men and women alike who wish to reduce the look of a double chin. 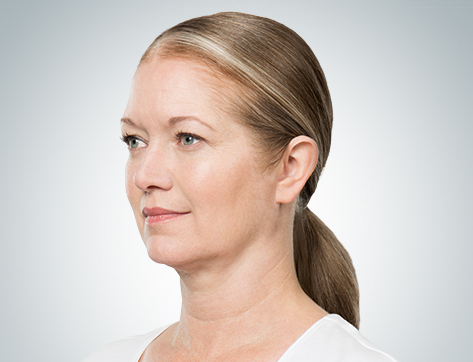 Many times, excess fat beneath the chin develops as the result of aging or simply heredity, making it difficult to remedy with diet and exercise. This is especially true for many of the product’s famous fans, including its celebrity spokesperson, Khloé Kardashian. BELKYRA is administered through a series of quick, comfortable injections. 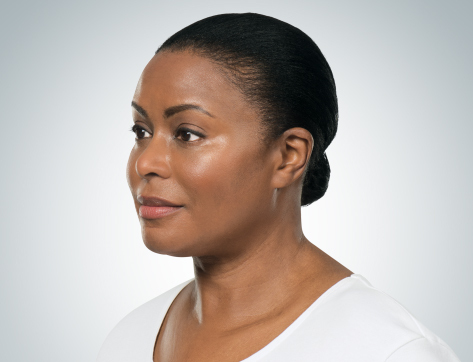 In just a few weeks, you can appreciate the difference this product makes as your double chin begins to diminish and you notice a more defined, sleeker chin and neck. In most cases, BELKYRA can be administered at the same time as other injectables, such as BOTOX COSMETIC®, for a more complete transformation. The active ingredient in BELKYRA is a substance called deoxycholic acid, or deoxycholate. This is a substance naturally created by the liver, and aids in the digestion of fat in the food we eat. When isolated and administered to the unwanted fat that creates a double chin, deoxycholic acid helps the body to metabolize and filter away this fat. BELKYRA has been extensively tested and approved by the United States’ Food and Drug Administration as well as Health Canada for the treatment of submental fullness in adults. 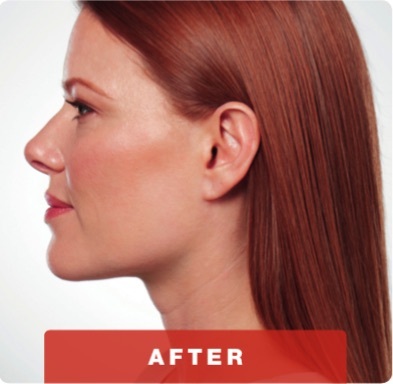 BELKYRA is administered in a series of sessions spaced a few weeks to a month apart for the best results. During each treatment session, your skin is first cleansed and numbed to prepare it for injections. The injector then administers several quick injections beneath your chin. Treatment sessions usually take 30 minutes or less. After your treatment, you may return to your normal activities immediately. Although you may experience some bleeding, swelling, bruising, or tenderness at or near the treatment area, these side effects are typically short-lived and mild. Over time, you’ll notice your double chin gradually receding, revealing a slimmer, natural-looking neckline. Because the fat cells targeted by BELKYRA are destroyed, your results are likely permanent.